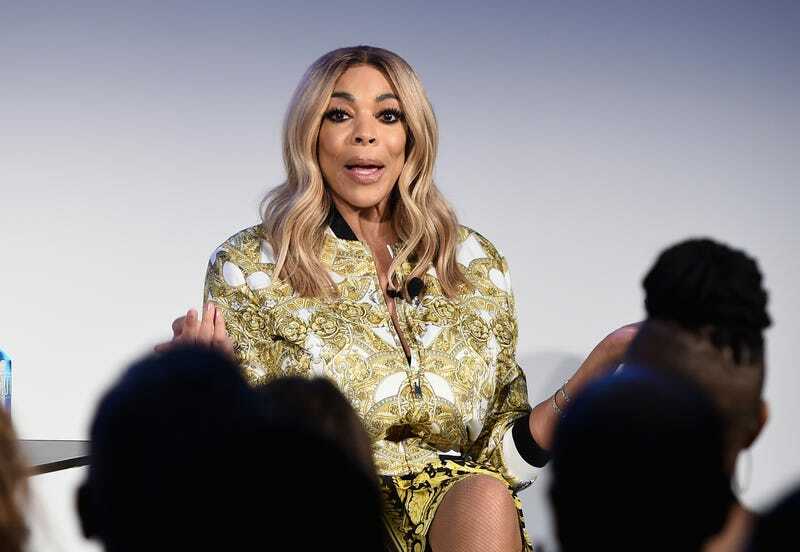 In what seems like the longest time coming, talk show host Wendy Williams has reportedly filed for divorce from her husband of nearly 22 years, Kevin Hunter. Williams’ attorney confirmed to Page Six that the 54-year-old face of the nationally syndicated The Wendy Williams Show (which Hunter executive produces) finally kicked ole boy to the curb and served him divorce papers at 6:30 a.m. Thursday morning. The Post, however, reports that on March 25, the ring was indeed gone, after Williams was snapped by photographers leaving a sober-living facility where she has been staying in Queens (which Hunter reportedly pushed her into, so perhaps he could galavant with his mistress and their new baby). Over the years, we’ve all heard the rumors of infidelity, abusive behavior, and just plain ole disrespect, which is even more infuriating when it’s obvious that Williams brings in the checks. Williams and Hunter, 46, reportedly met at a skating rink in 1994, married in 1997, and welcomed a son, Kevin Hunter Jr., in 2000. Even if she has to pay him off, we say good riddance. Go Wendy! Go Wendy!